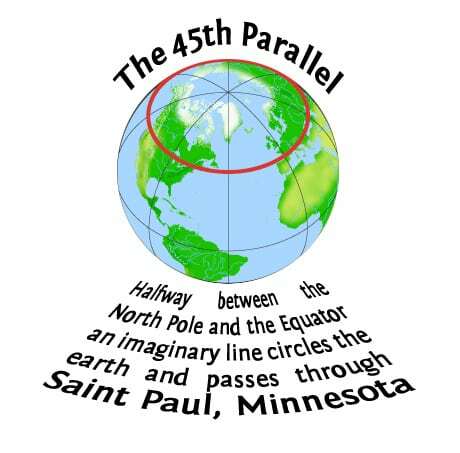 The forty-fifth parallel runs through Saint Paul, Minnesota. This parallel is generally considered the halfway point between the equator and the North Pole. This is irrelevant to our everyday lives with the exception of one truth: it is the cause of our extremely unpredictable weather, a concept that consumes us. We talk about it with co-workers, we talk about it on dates, we analyze it on the TV, we use it as an excuse for being late, we complain about it, we use it to avoid awkward gaps in uncomfortable conversation, and most importantly, we live in it. The winter brutalizes our morale. We naïvely think about it as a quarter of our year; in actuality, it tackles us without warning in November and its frostbitten fingers hang on tight until spring eventually stomps them off the ledge of late April. Leaving the house for any reason becomes a chore. You sit in your car, bundled up, and wait for the heat to kick in. Just as it does, it’s inevitably time to get out again and return to the elements. All the while, your back is tight, your fingertips are numb, and the wind cuts against your cheeks. We pay an expensive energy bill. Weeks elapse without a “nice day.” Months pass and the sun’s warmth is only a distant memory of a luxury you foolishly took for granted. But then in the summer? Oh, man, that sun! It beats down on you. You sweat while drying off, the occasional breeze from an oscillating fan is a frequent source of satisfaction, and a guy can’t even have a few drinks and fall asleep in a pontoon without cooking himself twice over. We pay an expensive energy bill. The long day’s heat creeps into the night and those winter nights sitting by the fire now seem like a luxury we foolishly took for granted. Meanwhile, spring and fall, lovely as they are, find themselves squeezed tightly between the giants of winter and summer. Our well-groomed weather forecasters boldly predict it with laughable accuracy—or inaccuracy, for that matter. We indulge in criticizing them after the fact. So why exactly do we go through this vicious cycle year after year? Why not move to that consistent climate? California? Miami? Ecuador? Is it possible that we enjoy this weather? Maybe the long cold winter makes us appreciate those “seventy-eight and sunny” days all the more. 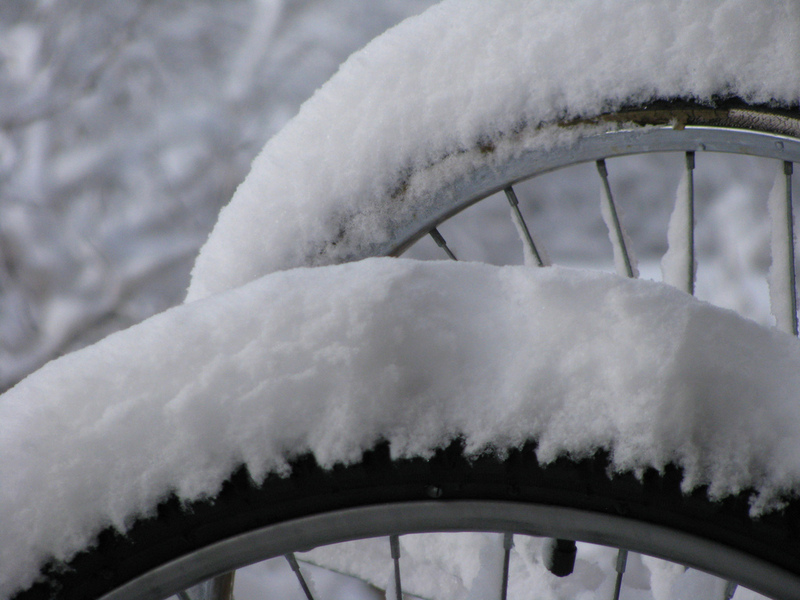 Perhaps the sweltering hot summer days make our winter hibernation oddly enjoyable. Deep down we all love criticizing the weather forecasters, right? 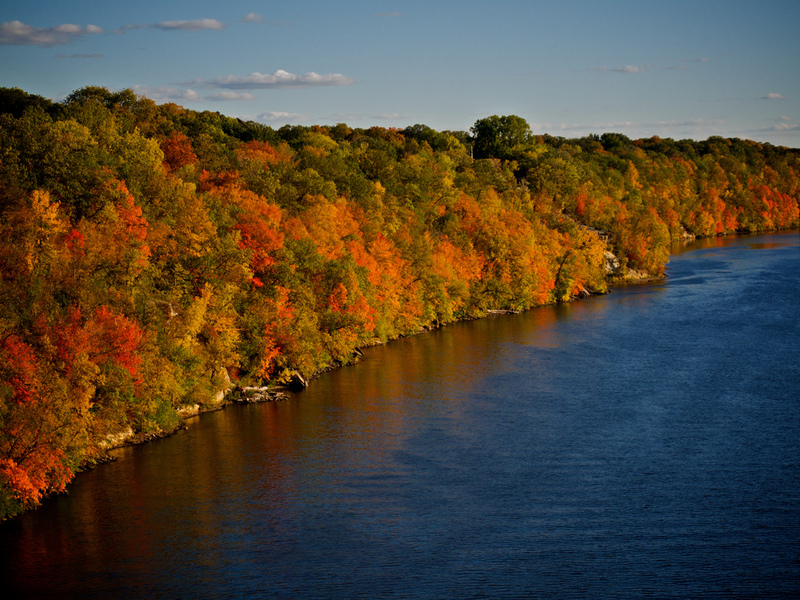 It could be that our distinct seasons have an invigorating effect on our psyche. Or, most likely, the summer waves of sticky humidity, or that run of subzero days in January, are an even trade for all the awkward silences we avoid, thanks to our good friend, that forty-fifth parallel weather.